I will walk you through the advantages of using Usana and how it can be easily implemented into your daily lifestyle. Regardless if you are a Beginner or experienced at taking supplements, this Beginner’s Guide will walk you through everything you need to know about Usana. ~Dr. 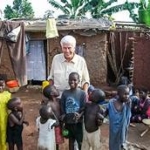 Myron Wentz, founder of Usana Health Sciences, visionary, scientist, philanthropist. As a holistic nutritionist living symptom-free with Fibromyalgia and osteoarthritis, I thank USANA for the powerful anti-inflammatory properties of the USANA supplements. These products truly changed my life. READ MY STORY HERE. Usana means True Health in Greek. 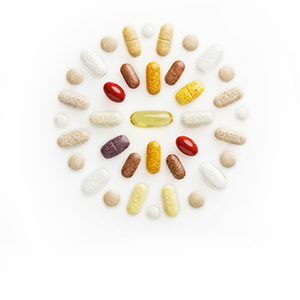 There is a reason why over the past sixteen years as a holistic nutritionist, Usana is the only supplement I recommend. Since 1992 USANA has stood at the forefront of the health and wellness industry. USANA creates high-quality nutritional products built on one simple principle, if you feed your body’s cells precisely what they need, you will enjoy optimal health and well being. This is the philosophy behind Usana’s never-ending drive to be on the cutting edge of innovation; advancing nutritional science and offering a happy, healthy life to everyone, at every age and stage of life. Because of Usana’s commitment to producing science-based, top quality pharmaceutical grade supplements and skin care. Usana has received over 650 awards for its exceptional work with its team of scientists in the research development team, it’s manufacturing, and overall product quality. Usana Health Sciences was founded in 1992 by Dr. Myron Wentz, world-renowned microbiologist and immunologist and expert in cellular biologist. Dr. Wentz has dedicated life to researching and developing the most advanced nutritional supplements science can produce. Early in his career, in 1974, Dr. Wentz founded Gull Labs and dedicated years to studying the cell, and he knows exactly what it needs to be optimally healthy. He also is known for creating the first diagnostic test or the Epstein-Barr virus. Usana has a team of more than sixty scientists, including nutritional biochemists, molecular and cellular biologists, pharmacists and sports science experts. This team is responsible for constantly researching and developing exceptional products based on the latest nutritional science research. Usana has its own state-of-the-art manufacturing facility and maintains stringent guidelines ensuring that only the purest and highest quality products are available to the public. 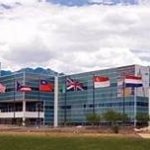 Usana Health Sciences has its home base in Salt Lake City, Utah. All products are produced in Usana’s state-of-the-art manufacturing facility. Raising the bar on nutritional supplement manufacturing practices, Usana adheres to pharmaceutical level Good Manufacturing Practices. Excelling in all they do, Usana rigorously tests their products meeting a standard above and beyond that of other nutritional companies. All of Usana’s products are created, tested, produced and stored in-house. Usana Health Sciences has received over 650 awards for its products, manufacturing practices, managerial staff, employee satisfaction, Celavive their innovative skincare line, and the CellSentials top rated supplement in the world. Dr. Wentz is a microbiologist, immunologist and a world-respected expert on cellular health. 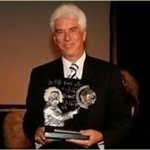 Dr. Wentz was awarded the Albert Einstein Award for his contribution to health sciences, and he has partnered with the Linus Pauling Institute to Usana has proven that it is a company that you can trust with the health of you and your loved ones. InCelligence Technology has the ability to communicate with the cell. It delivers key ingredients directly into the cell, activating its ability to respond to stress, and promoting healthy aging processes, reducing inflammation and building optimal health. Hybrid Technology this state-of-the-art innovation combines nutrition from various products to be combined into a single formula. Olivol, this patented extract contains polyphenols, anti-oxidants derived directly from olives. Personalized Nutrition, MyHealthPak makes nutrition easy and convenient tailored to your unique nutritional needs, including handy AM and PM packages. Physicians Desk Reference, Pharmaceutical Compendium, a publication of prescription drugs, and nutritional supplements used by doctors and health care professionals. Eleven Usana products, including the CellSentials, are included in this publication. NSF International, testing and certifying certification program that ensures what is listed on the label is in the bottle and is pure, containing no undeclared or unsafe levels of contaminants.–this is crucial to high-level athletes and Olympians. Thousands of athletes trust their health to Usana, in Canada Usana offers a million dollar guarantee for purity. USANA has 3 AMAZING Product Lines that Nourish, Protect and Renew your body from the inside out and the outside in. In conclusion, this Beginner’s Guide to Usana has outlined the many benefits and credentials that Usana has ranging from its award-winning supplements to its innovative skincare line. Usana has proven for more than 25 years that it is a company you can trust, you can get started today! Usana is my top recommendation for daily supplements and I encourage you to get started with this super convenient Usana HealthPak. 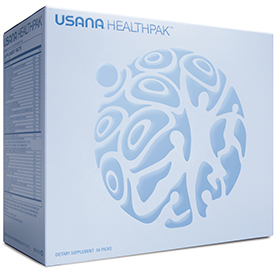 Build a solid foundation for better health with the USANA HealthPak save 10% only $160.95 CAD your country’s option will show at the Checkout.